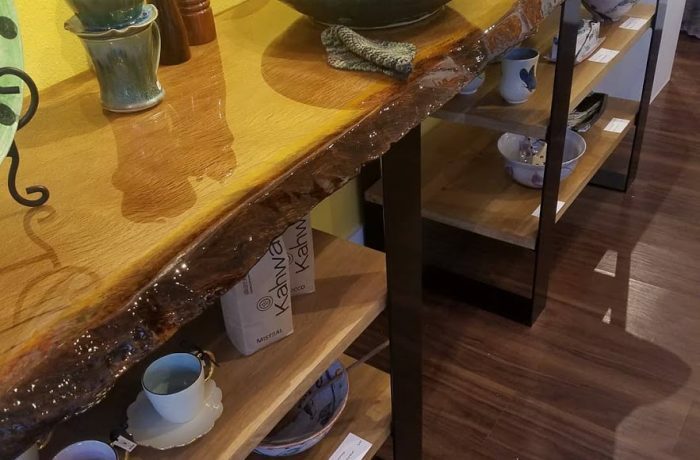 Made from an Oak slab from a tree taken down in St. Petersburg. Resting on powder coated steel legs with oak shelves, the table is 98 inches long and 20 inches deep. Finished with epoxy resin.